Hindi nag volunteer eh.. heh heh. Siguro next time dahil nahihiya ako mag offer sa mga banda na kilala dahil baka hindi mag work out. I only offered to people who are close para hindi ako mapahiya. you want me to ask the guys? unless puno na slots? Video please. Kahit cellphone vids lang. Just want to see those awesome gear. Ayus to! Enjoy sa lahat! AWESOME!!! too bad Ill miss this..not in the PH at the moment...have a great one guys! Will post camera shots tomorrow when I finish arranging the stage at around 5 pm. The Park George Lynch 50 Limited Edition Head has arrived and is the backup amp for the 3 monkeys Ze Limited. The Park 50LTDGL is a recreation of the ubiquitous 50 watt plexi British two-channel, four-input amp as used by so many artists on stage and on recordings throughout the 1960s and 1970s. 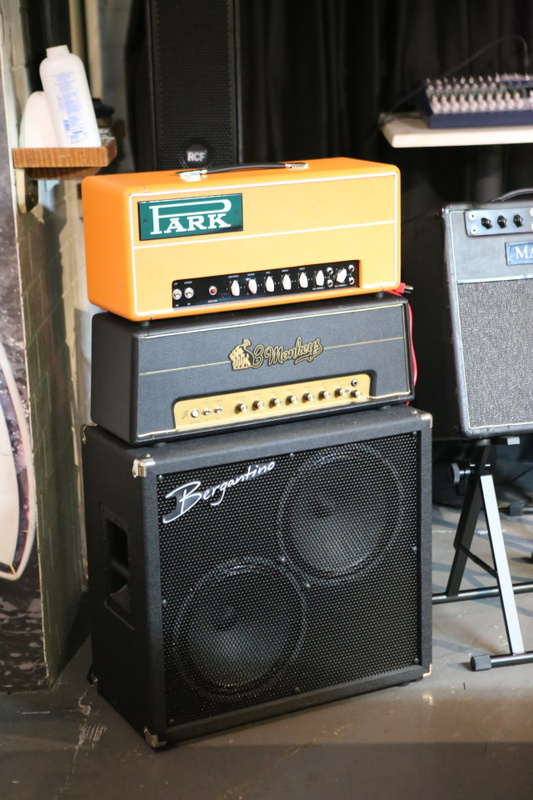 The amp is also a clone of the modified vintage Park amp Mitch Colby lent to George Lynch in 1991 that was used exclusively on “Sacred Groove”. 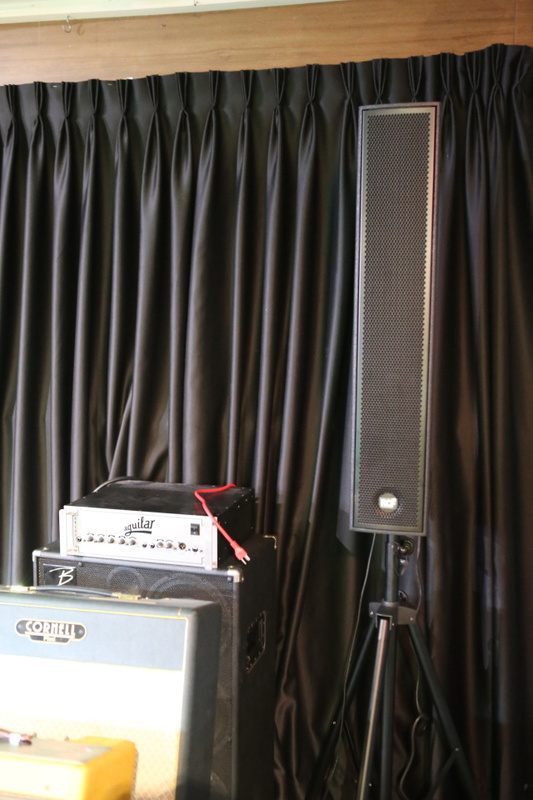 That amp was recently recreated for George and he is using it on his current gigs in place of his vintage plexi amps. This new version features a push-pull switch on Channel I’s Volume control that converts it from a warmer version of the plexi 50 to the more aggressive Lead version for increased flexibility. Faithful to the originals, the Park 50LTD incorporates hard to find new old stock vintage parts (NOS) such as Iskra, Piher and Allen Bradley resistors, Phillips Mustard and Lemco capacitors all affixed to a Paxolin board with split top turrets. A Merrin clone output transformer and “Winged C” EL34s top things off on this highly detailed, hand built amplifier. Only 10 Park 50LTDs will be built in New York by Mitch Colby. Fans of any genre will appreciate this fine '57 Deluxe reissue. Its simple control scheme provides immediate tone sculpting that will give you stage- and studio-ready sound in seconds. Crank up with 12 watts of all-tube Fender tone, dial in the tone knob, and use your guitar's volume and natural playing dynamics to control the amount of drive. The Edge Deluxe is extremely sensitive to playing dynamics, with the kind of tube response that is hard to emulate short of playing the real thing. Sweep between shimmery cleans to raw, smooth crunch and full-on controlled chaos to find a sound that works for any style of music. As you might expect from an amp named after The Edge, the Fender Edge Deluxe responds very well to delays, chorus, boost, and drive pedals to color your best FX chains with even-ordered harmonics and classic tube sparkle. The Cornell-Plexi 18/20 Combo is made to the basic circuit of the PA20 Plexi panel which was produced in the 60s. Additional Cornell design features like the switchable valve rectification and power reducer are fitted as standard. 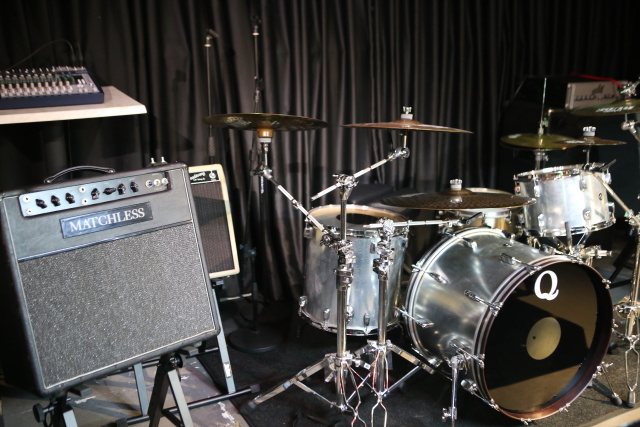 Complementary push-pull class “A” output has been used in many renowned amplifiers throughout the history of guitar amplification. The problem with this basic circuit, which has remained common to all manufacturers with some minor differences, was one of unequal current flow through each output valve and unacceptable crossover distortion. At high output levels the problem is accentuated and results in a fuzzy sound. We have corrected the design and resolved the problem by balancing the output and reducing the crossover distortion. This results in a much smoother sound at high output levels. The output having very little crossover distortion. The difference can be seen and measured on an oscilloscope. 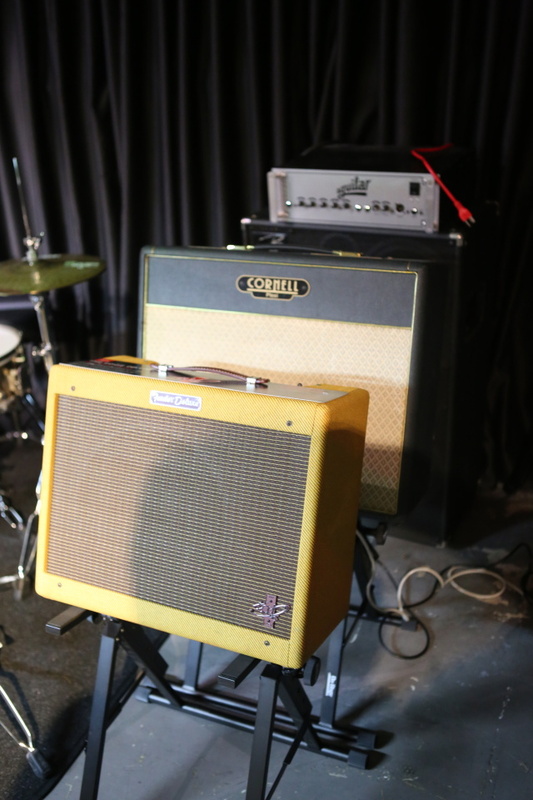 We have encapsulated the components and called it the Cornell ‘Cream Box’ which describes the output tone. We now use this circuit in all of our complementary Class “A” push-pull output designed amplifiers. This is what changed the amp world. The DC-30 was the company’s first design and still leads the lineup. Thirty very conservatively rated watts from a quartet of EL-84’s, through two channels, each with unique voicing and tone control layouts, produce a world of tone choices. True “Class A” configuration gives rich, complex harmonics whether played clean, mildly overdriven, or with all out power tube saturation. This means you should sound great in any situation, in any music style. A long list of musician designed features includes: highly interactive tone controls and circuitries unique to each channel, bypassable master volume, individual channel effects loops, cut control for high frequency shaping, high and low (30 or 15 watt) power settings, selectable output impedance and phase inverter switches allow the use of additional speaker cabinets or amps in-phase with the DC-30. The preamp sections are based on a layout of two 12AX7’s in Channel 1 and one EF86 in Channel 2. The two 12AX7’s in Channel 1 create a parallel-triode circuit with interactive bass and treble. The one EF86 in Channel 2 consists of a high-gain pentode coupled to a six-position tone switch. Outright benefits include quick dial-in of new tones and an easy return to the settings you prefer. Also “high treble” cut control, master volume, with a bypass feature that offers flexible control of the power amp section. The power amp is fed by a 12AX7 phase inverter, which drives four EL84 power tubes. The rectifier circuit gives you the flexibility of using one 5AR4 for a quick attack or you can use two 5V4’s for a smooth, round response. 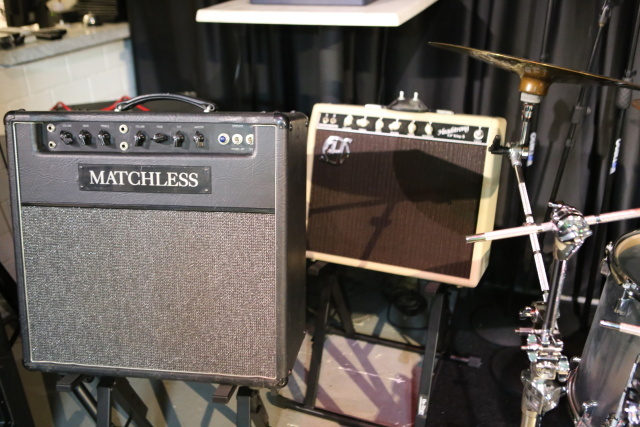 Other professional features include an effects loop, half power-mode switch (a conservative 30 watts switching to 15 watts), output impedance selector (4, 8, 16 ohms) and a speaker phase-reverse switch. 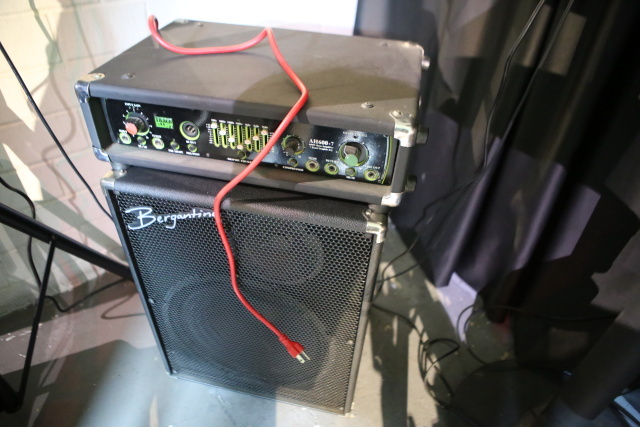 Sound on the 212 Combo is delivered through two dissimilar Celestion speakers: a G12H30 and a Greenback 25, each specially modified through a proprietary MATCHLESS formula. All of this is encased in an extremely sturdy hand-made 11-ply, 3/4” Baltic birch cabinet, wrapped in richly textured black vinyl. The finishing touch is our signature backlit nameplate and control panel, which lets you (and the audience) know when the power is on. Yes you can come... Your inbox is full kaya sa thread ko na lang sinabi. Just a brief explanation of why I put up this event. I realized that its difficult to actually have people come over. The amount of equipment in the house is just damn intimidating. It has gotten to a point that the gear is only used once per year because I keep on rotating amps and guitars. Most importantly, a band context was needed. But I realized that the ONLY way to make the Electric Guitar sound great is to make all OTHER instruments sound as great. So, I started investing in other stuff. The other stuff are not yet on par with what I have for guitar because the great guitar designers and guitar amp makers are dying off and getting old at an alarming rate. Thus, I had to concentrate back on purchasing their guitar products while still alive. With regards to Drums, all cymbals where chosen by me in my travels to Japan, Singapore and Hong Kong. So, I just did not buy a set blindly. 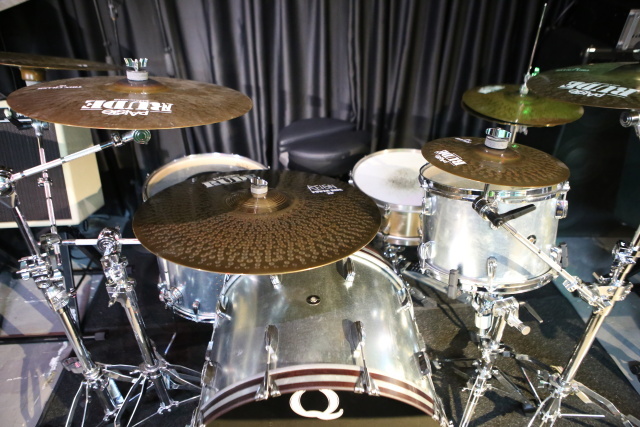 The Galvanized Steel Q Drums were recommended by Q Drums themselves for rock so I had to trust them but it was worth it. In my travels to Japan, I am constantly amazed by the available Snare Drums -- its like they have the biggest selection of high end snare drums in the world. After trying all brands, snare drums start to sound a bit meh... Different Flavors but not that different EXCEPT this one of a kind VK bronze snare drum. It just defies all specification. It had no price tag when I tried it after trying all the other VK drums of different metals. Lo and behold when I decided to buy, I was shocked by its price. It was the most expensive snare drum at Drum Station Akihabara. It was so expensive that the Japanese decided to give me a discount. With regards to the Vocal Microphones, it is still an opportunity area for me. I had to look for the Sennheiser microphones in japan because mga low end lang available dito. But I knew I had to spend more on the PA speakers to be able to cope up with the high decibel guitar amps. 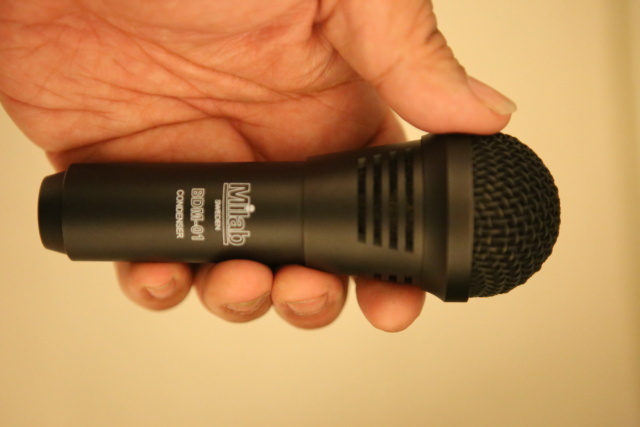 So, I hope to get more high end microphones from USA and Europe. Update#3: In a first, the MILAB BDM-01 Condenser kick drum microphone has arrived from Sweden. This handmade microphone is considered the BEST Bass Drum microphone. So, will see how it goes. The PA will be dedicated to vocals and the bass drum microphone. Cymbals, toms and the snare will not be miced. Neither guitar amps nor bass amps will be miced. These things already have high SPLs which I tested in the venue the other day. I hate it when we lose the bass drum in the mix. That's my actual hand ... it reminds me of well you know the thingy that gets handled. No China made stuff except for the mixer, even the RCF PA is made in Italy. Of course, I am sure they used a lot of China made parts... heh heh. Also, if you are wondering what the red power cables are; they are from mercury magnetics. Bad Behavior has blocked 85382 access attempts in the last 7 days.